For the fourth and fifth parts of this article, Zachary Thomas reflects on the ad orientem posture in Christian worship as an expression of the Virgin Mary’s role as a type of the Church. I have therefore given them a slightly different title from the first three parts, (“Marian character”, rather than “priestly character”), but they are nevertheless the continuation of the same article. To read the first three parts, click on the following links: part 1, part 2, part 3. If the stark realities of the Old Testament seem difficult to reconcile with the new filial posture of the Gospel—and of course we must say that Christ works a change—we can turn to Mary to find in her perfect humanity the proper attitudes of a redeemed humanity. Christian tradition has long cherished Mary as the image of the New Temple, the Archetype of the Church, whose Fiat invites God into a new nuptial covenant with the world. The one whose womb contained the Godhead, who walked side by side in most familiar and tender love of Christ, what is her posture toward the sacrifice of her son’s life? Guardini’s chapter on the Virgin Mary in The Lord is startling in the answer it gives to this question. Following his analysis of Mary’s character as portrayed in the Gospel, we can see that the whole chapter might serve as a catechism on the Mass, where with Mary we are immersed in the deepest mystery of Christian life. “From the first hour to the last, Jesus’ life is enfolded in the nearness of his mother. The strongest part of their relationship is her silence. Nevertheless, if we accept the words Jesus speaks to her simply as they arise from each situation, it seems almost invariably as if a cleft gaped between him and her. Take the incident in the temple of Jerusalem. He was, after all, only a child when he stayed behind without a word, at a time when the city was overflowing with pilgrims of all nationalities, and when not only accidents, but every kind of violence was to be expected. Surely they had a right to ask why he had acted as he did. Yet his reply expresses only amazement. No wonder they failed to understand!” (Guardini, The Lord, Regnery Publishing 1982, pp. 11-12). “Mary believed blindly. Again and again she had to confirm that belief, and each time with more difficulty. Her faith was greater, more heroic than that of any other human being. Involuntarily we call to mind Abraham and the sudden, terrible sublimity of his faith; but more was demanded of Mary than Abraham. For years she had to combat an only too natural confusion. Who was this ‘Holy One’ whom she, a mere girl, had borne? This ‘great’ one she had suckled and known in all his helplessness? Later she had to struggle against the pain of seeing him steadily outgrow her love, even purposely flee it to that realm of ineffable remoteness which she could not enter. Not only did she have to accept this, but to rejoice in it as in the fulfillment of God’s will. Not understanding, never was she to lose heart, never to fall behind. Inwardly she accompanied the incomprehensible figure of her son every step of his journey, however dark. Perseverance in faith even on Calvary—this was Mary’s inimitable greatness” (pp. 13-14). “Everything that affected Jesus affected his mother, yet no intimate understanding existed between them. His life was hers, yet constantly escaped her. Scripture puts it clearly: he is ‘the Holy One” promised by the angel, a title full of the mystery and remoteness of God” (p. 13). “...his mother under the cross, thirsting for a word, her heart crucified with him, he says with a glance at John: ‘Woman, behold thy son.’ And to John: ‘Behold, thy mother.’. […] Once again, she is directed away from him. Christ must face the fullness of his ultimate hour, huge, terrible, all-demanding, alone” (12-13). For his time, Christ’s entire life was an offense and a stumbling block; from the first moment of his birth in the dark stable, to his gory death as a common criminal, he disappointed most people’s expectations and offended everyone’s preconceived notions. His Kingdom was not the earthly one envisioned by zealots, nor a legal one expected by the Pharisees, nor one of total submission and complicity with violence as desired by the Romans. And he is still an offense. He is an offense to the Gnostics and Platonists who seek salvation through esoteric knowledge, self-improvement, or salvation through technological expertise. He is an offense to the worldly. He is an offense to Christians who have become cold in their habitual obligations, who substitute academic or social work or ritualism for true faith. He is an offense to multi-culturalists who claim salvation can be found in any “spiritual leader.” Ultimately, he offends all of history’s attempts to reduce him to just another figure. Perhaps what the Church has failed to do in recent decades is to be a sign of contradiction for Christ, taking all the blows and buffets and daily dyings that must follow a truly Christian life in this world. If the Church is lauded by the powers of the world, can we still recognize in her the Christ who was mocked by the Romans? Terribilis est locus iste! (How fearful is this place!) Thus begins the introit for the dedication of a Church. In a funny contrast to the warmly smiling “greeters” in the “gathering spaces” of new suburban churches, it seems like churches used to be built precisely to scare people away from entering. Passing in full awareness underneath a Romanesque portal, under the stern gaze of Christ in judgment, contemplating the souls of the damned, menaced on both sides by fearsome lions, admonished again on the threshold by warnings (e.g. at Siena cathedral: Castissimum Virginis Templum, Caste Memento Ingredi) entering church was a harrowing experience. And yet for that, it was all the more a place of reconciliation, of the sweetest communion and warmest feelings of belonging, as expressed in the psalm verse of the antiphon: “Quam dilecta tabernacula tua, Domine virtutum! 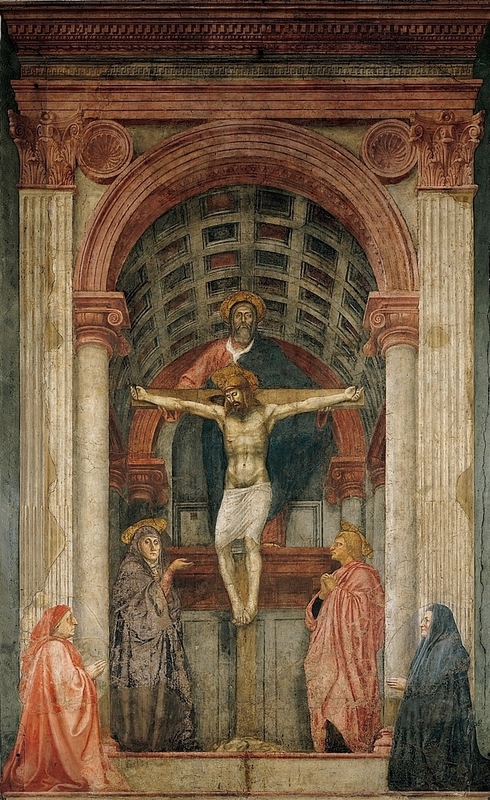 Concupiscit et deficit anima mea in atria Domini.” The great, even paradoxical tension and unbridgeable difference between these two truths—mercy and justice, love and fear, redemption and creaturehood, man and God—is the atmosphere in which the creature walks, even one confident of redemption. So what is the proper posture of worship? What is the ritual actualization of the dogmatic truths we hold about Christ’s nature, his mission, and our relation to that mission? I would argue that traditional liturgies have worked out an exquisite balance in which the objective attitudes of the Christian soul standing before God are mapped into the ritual. Traditional rituals both offend us—overwhelming us with consciousness of our sin and unworthiness—and on that basis, lead us toward faith in the true God. The ad orientem posture and its attendant sacred choreography is the supreme sign of offense to a proud humanity “called out” of itself to follow Another. In fact, if we are not offended by this priestly, Christological posture, there is something wrong with us. If we would rather we had full, straightforward access to the holy mysteries, a quick and easy satisfaction of our obligation, we do not have enough fear. If we prefer the priest to do his thing and leave us alone, we do not have enough love. Underneath the criticisms that “the old mass is incomprehensible,” and underneath the dubious initiative to render the sacred ceremonies “easily intelligible to everyone,” we may legitimately suspect that there lies a fundamental defect: the attempt to reduce God to our own level entirely, to make him easy and homey so as not to offend anyone’s delicate sensibilities. Along with the many other “veilings” and the indirectness of traditional liturgies, the priest’s back is an offense, an offense that remains stubbornly impervious to our human efforts to reduce the mysteries of God to our own lowly level, to something “easily comprehensible” and “simple.” There are times, as in the intimacy of the confessional, or in the depth of prayer, or in the simple love of familial life, when it is right to know God’s closeness, when he reveals himself tenderly to us. But the enactment of the most solemn Holy Mysteries would be deficient if it did not include the possibility for experience of God’s majesty. The long kneeling, the deep silence, the ornate architecture of the Church—all parts of the traditional Roman ritual—are all an offense of the loftiness of God impinging on our spiritual autonomy, calling us out into faith. This frustration we feel when the holy mysteries are enacted under veils, behind an “iconostasis of silence,” is good and healthy. A holy soul should always feel it. Why? Because this incomprehension is just what Mary felt at Calvary when she saw her son dying on the cross, it is what we will feel forever in heaven, as we gaze in rapture on the Trinitarian Mystery that can never be exhausted. Even on the natural level, it is the pang of separation and partial communion we feel even face to face with those we love the most. Sometimes we can only say with Mary, as that great act by which he reconciled the universe was playing out invisibly before her eyes: surely He has some interior purpose, though it is to the contradiction and deep offense of all merely human expectations. In his treatment of the ceremonies of the Old Law (ST 1–2, qq. 98–105), Aquinas points out this anticipatory, tension-laden aspect of Jewish worship. In the old ceremonies of the Temple, in the liturgy God gave them on Sinai, the Jews were actually worshipping Christ indirectly, praying for the Messiah in the posture of hopeful expectation. Aquinas even goes so far as to say that some of the chief priests, who could penetrate the liturgical symbols, explicitly expected Jesus Christ. How great must have been their longing, their impatience even, for God’s final revelation! Their liturgies were never a celebration only of what they were as a people, but also of what they were to become in the final Messianic redemption. Now this dynamic of “not yet,” of unbearable longing, tension and waiting, is present too in the New Dispensation, where the liturgy no longer prefigures Christ-to-be-incarnate, but Christ-to-come-again. The Christian liturgy is a “going forth” toward the Heavenly Liturgy, a bitter-sweet “already” and “not yet” in which we enjoy in part the life that awaits the faithful in the beatific vision. 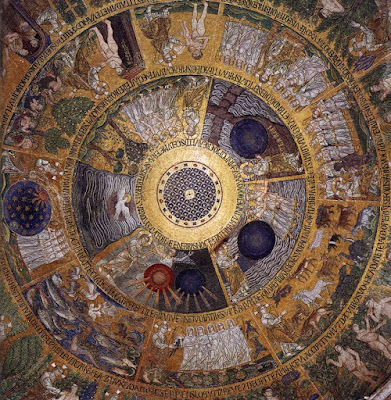 That is why the ceremonial of Mass can never be just “familiar” or “simple” or adjusted to the tastes of “modern man,” since the whole logic of sacrificial worship is that we are putting off what we are, to become what we are not, tending from this time of change toward the moment of eternity. In each Mass, the Church faces our Lord in a Marian posture. We are challenged to adjust our vision, accept contradictions, set aside the human limitations we put on the majesty of God, and fall down in creaturely adoration. The ad orientem posture, as part of the various veilings and negations of traditional ritual, preserves this possibility for the faithful.